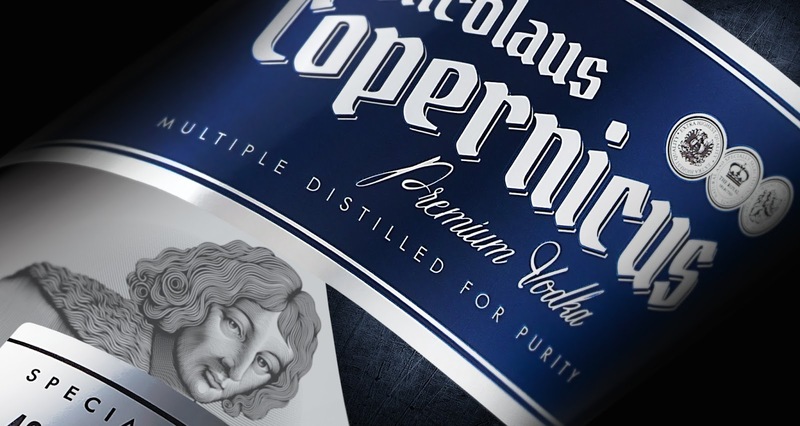 Client: Manufaktura Alkoholi Gatunkowych "COPERNICUS"
The design for Copernicus brand was inspired by the revolutionary theory from the lifetime’s work of Nicolaus Copernicus - On the Revolutions of the Heavenly Spheres. We decided to break the rules of traditional labelling and to wrap up the bottle with a label of 520 degrees. 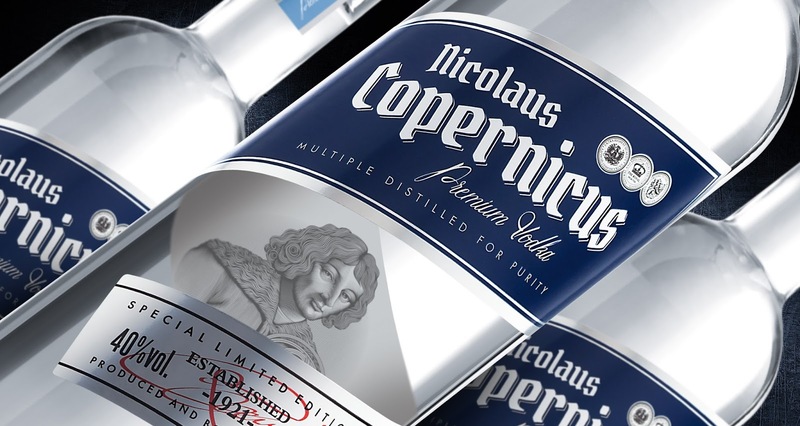 The illustration of the famous astronomer has been printed on the reverse side of the label and is visible on the inside of the bottle. 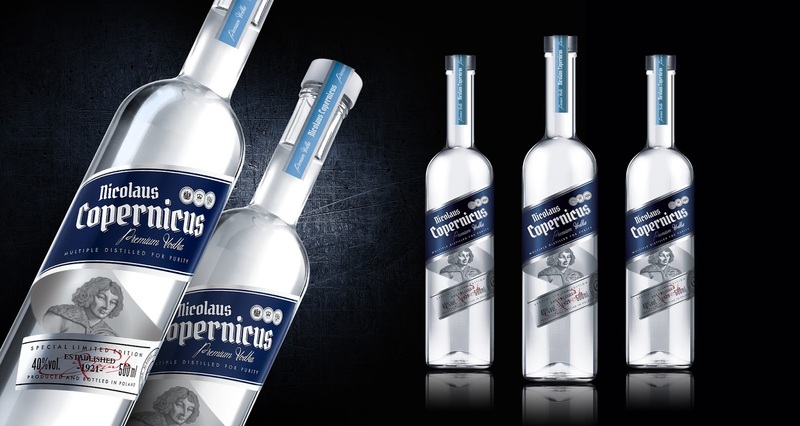 The chosen bottle shape – tall and narrow – highlights distinctiveness and elegance of the designed product.